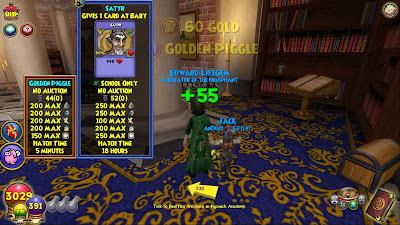 Before today, I had no idea which quest to get the Golden Piggle. I finally found out which quest I needed to access this pet. I am glad I went on Wizard101 today to see the quest I was on was the way to redeem this pet :) It took forever for me to finally find the quest and I had the quest on my life character for the past week! 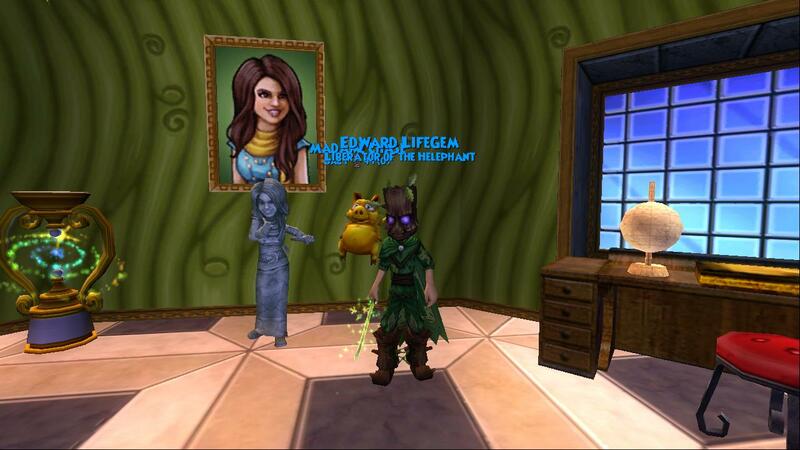 Well I should look at my quests I am on from now on. 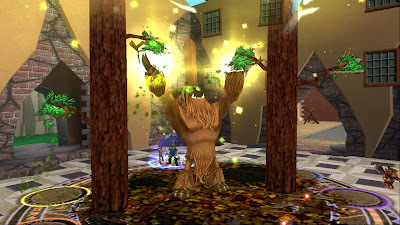 I would finish up all of my quests, but I think its good to have extra experience for the next world or level cap that will be released later on. 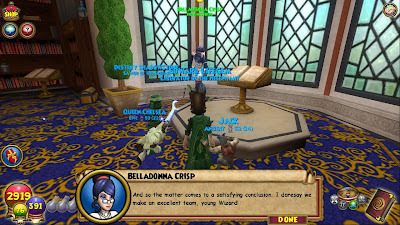 I still need to finish up quests though throughout the world of Wysteria, since it really wouldn't give much experience for the next world. Before Ending the quest, Forest lord was ready to attack. Finally, Belladonna is finally being nice? Hopefully..
5 Minutes for 55 Minutes of waiting for it to hatch!?!? I have to admit, waiting a long time for a pet is terrible. 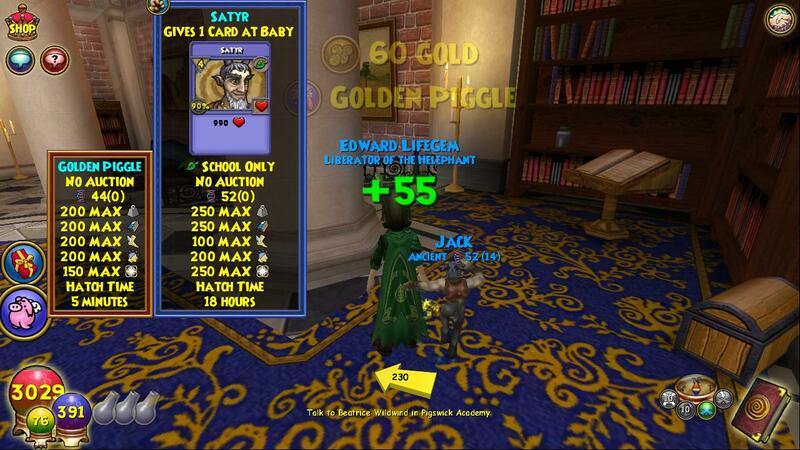 I am glad the golden piggle only had 5 minutes of hatching time. If I had to wait 21 hours, this blog post would be finished tomorrow. Well hope you enjoyed reading!